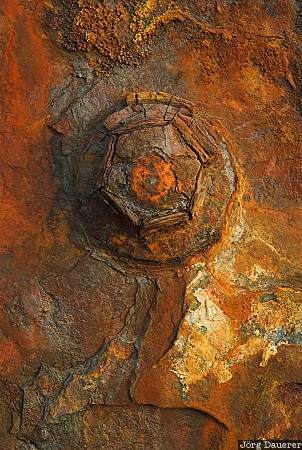 Detail of the rusty boiler of the wreck of SS Monaro at Bingie Bingie Point at the Tasman Sea, New South Wales, Australia. This photo was taken in the morning of a sunny day in April of 2007. This photo is part of the exhibition Rust, Wrecks and Ruins (February 2014). This photo was taken with a digital camera.